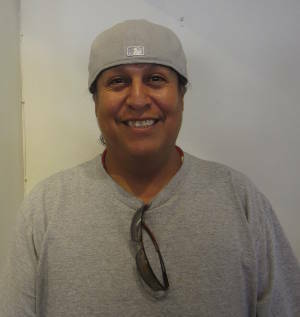 Sammy Naranjo, (Okuwa Nae’ Khung Tsire meaning: Dark Cloud Bird), was born into the Bear Clan of Santa Clara Pueblo in 1972. 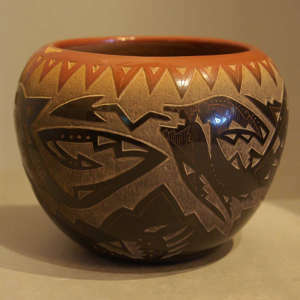 When he turned twelve, Flora Naranjo (Sammy's mother) started working on inspiring him to create traditional carved pottery. 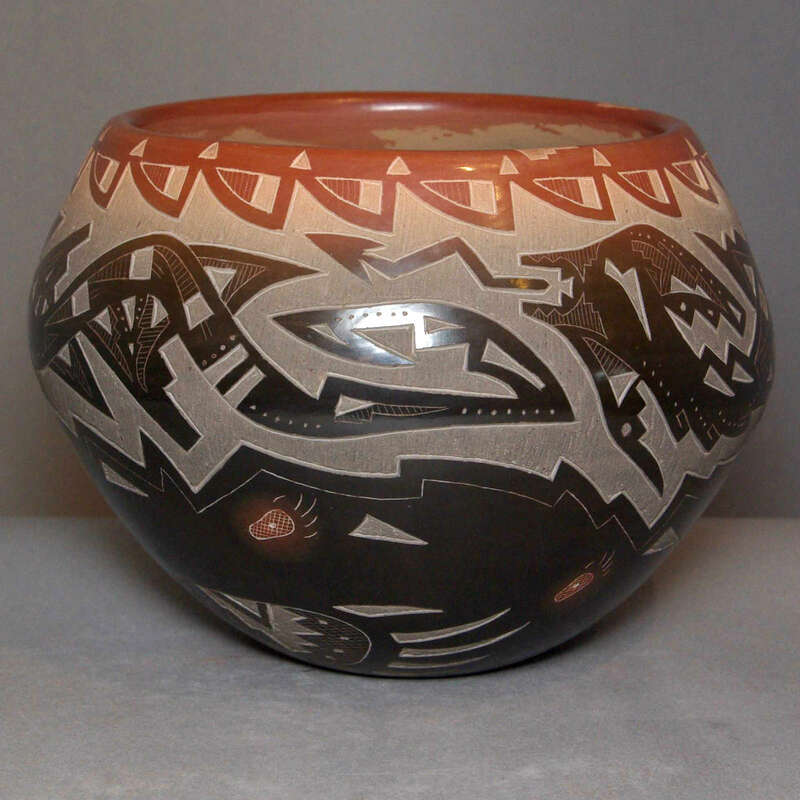 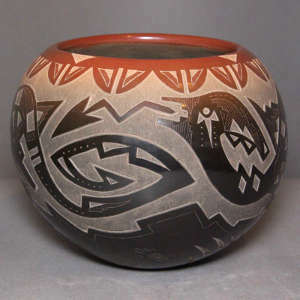 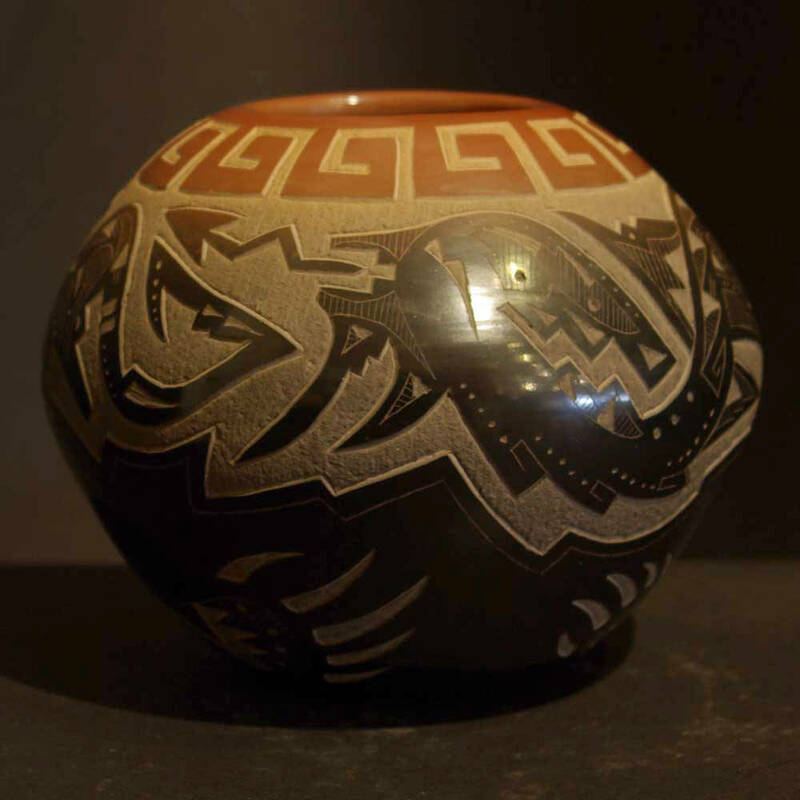 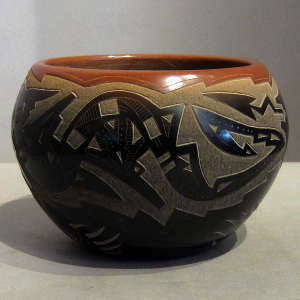 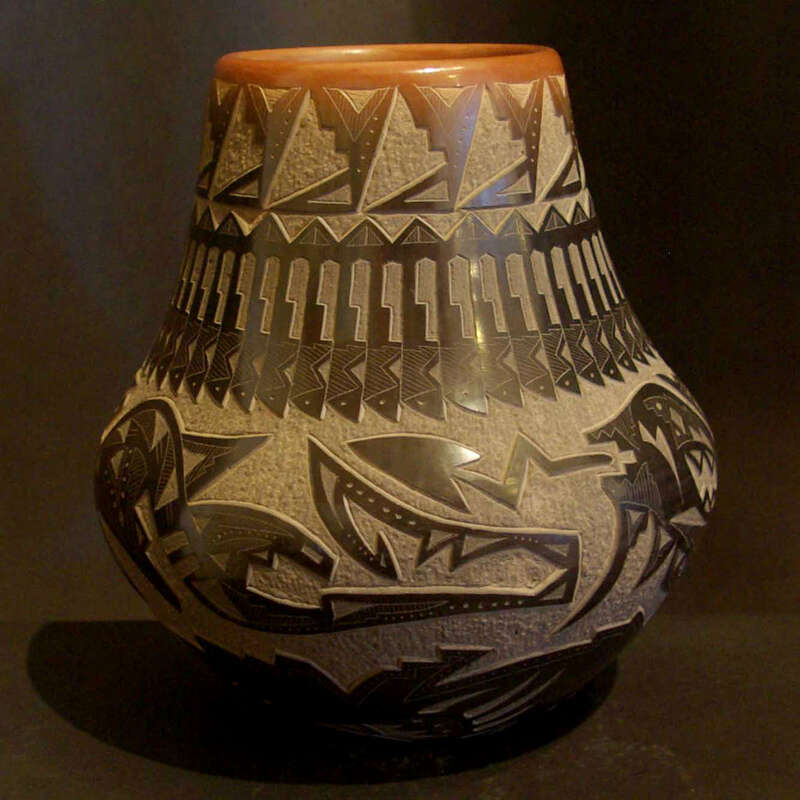 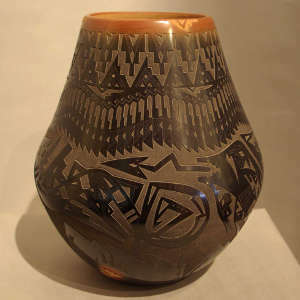 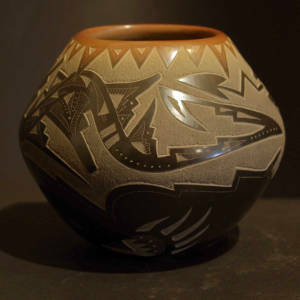 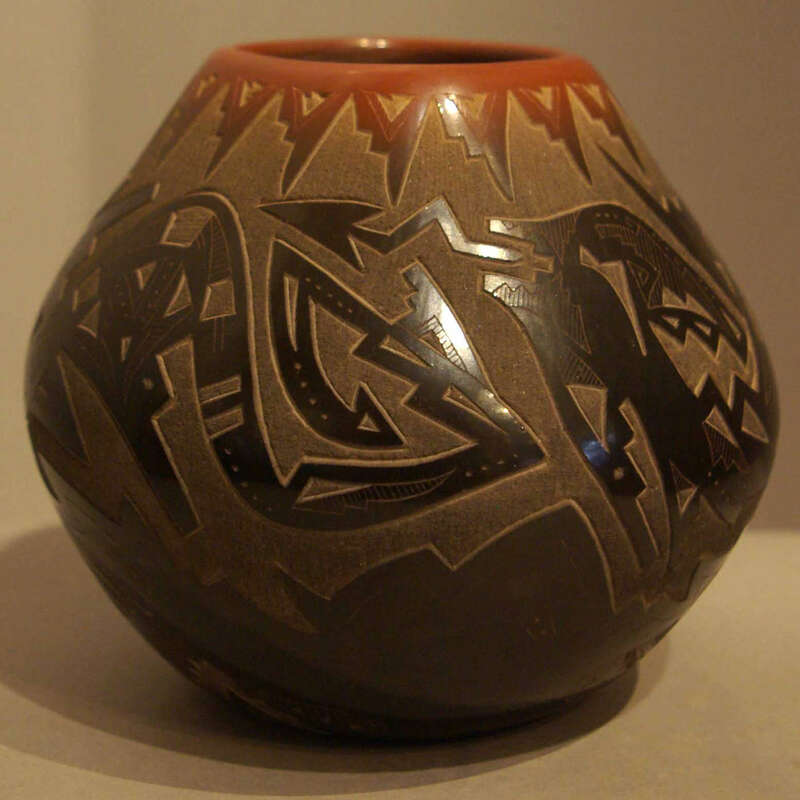 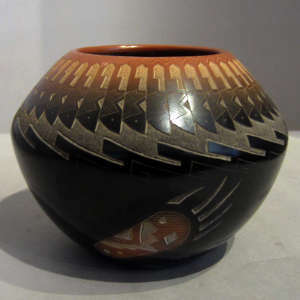 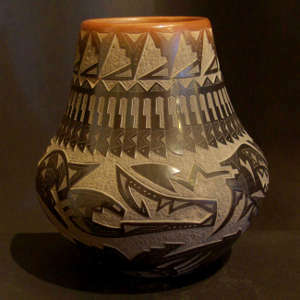 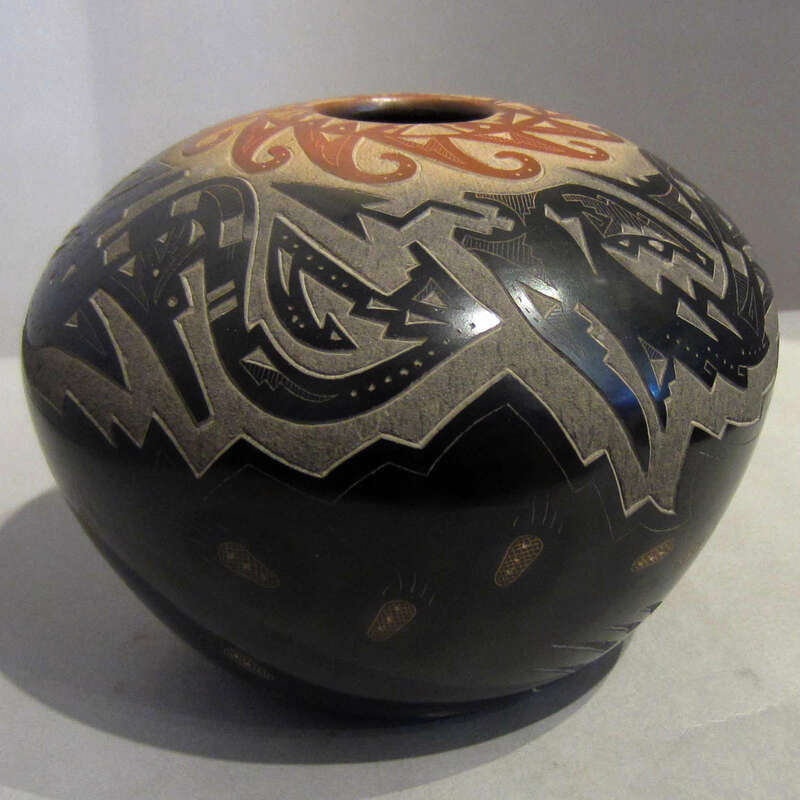 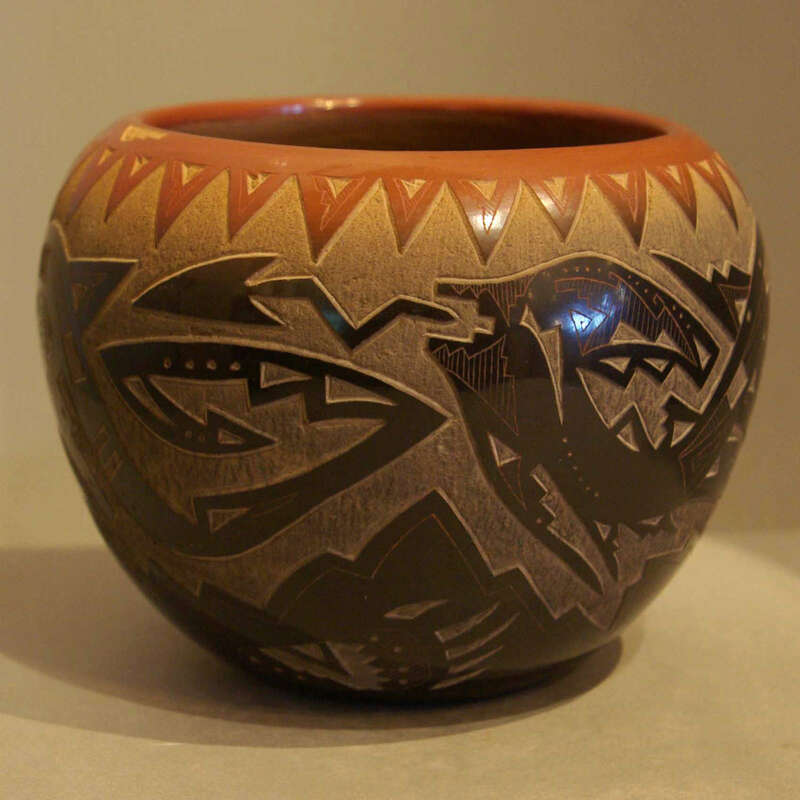 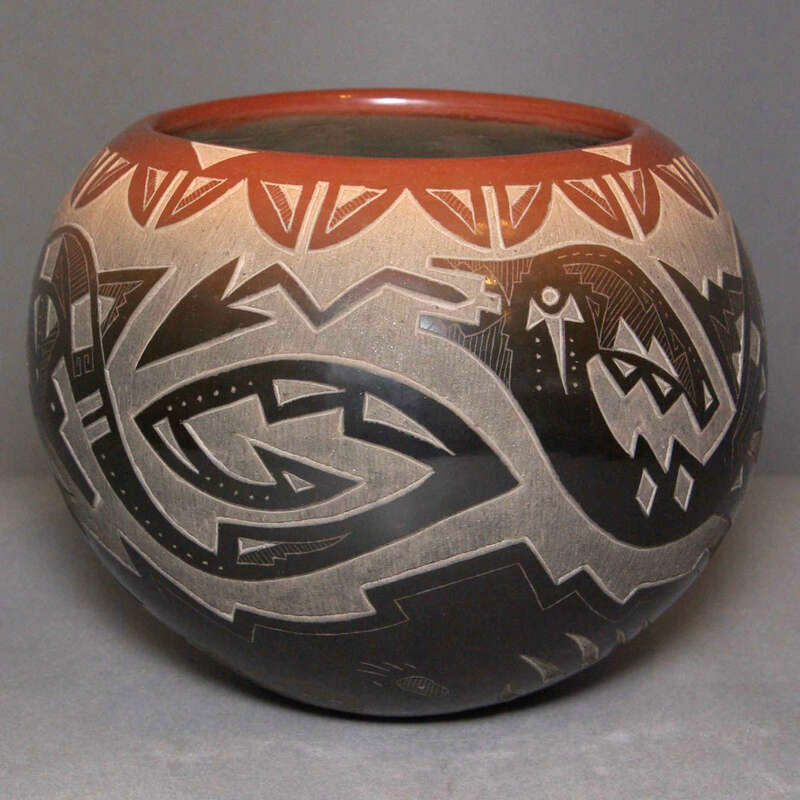 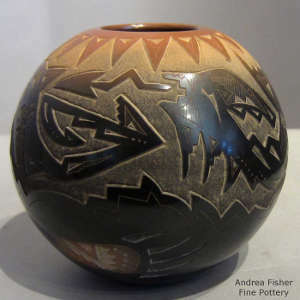 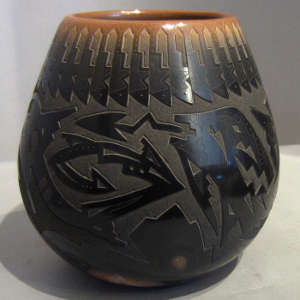 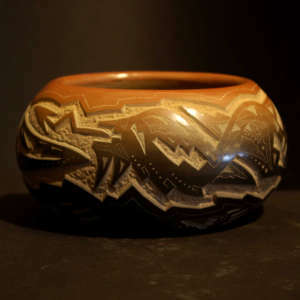 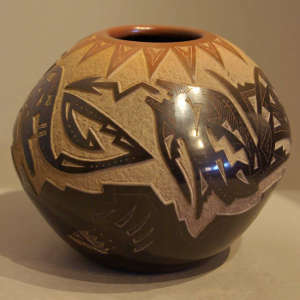 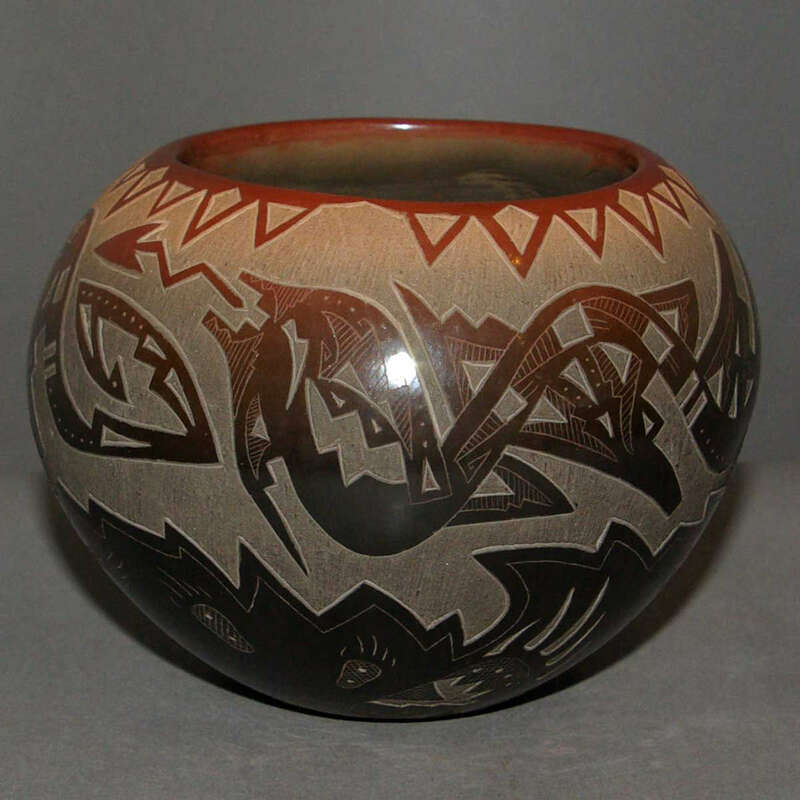 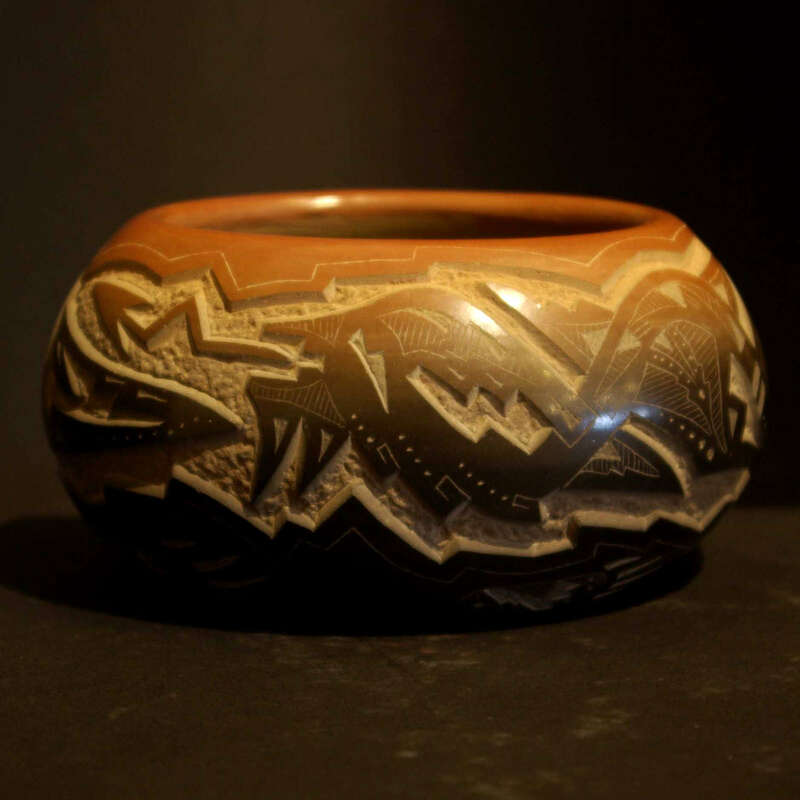 Today, Sammy specializes in two-tone black and sienna pots decorated with finely executed sgraffito (etched) traditional designs such as the Avanyu (water serpent), feather patterns, and bear claws. 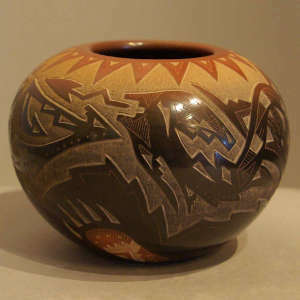 He gets his clay on Santa Clara Pueblo land, and after preparing the clay, hand coiling, shaping, and polishing his work with river stones, he fires his pottery the traditional way: with horse manure. 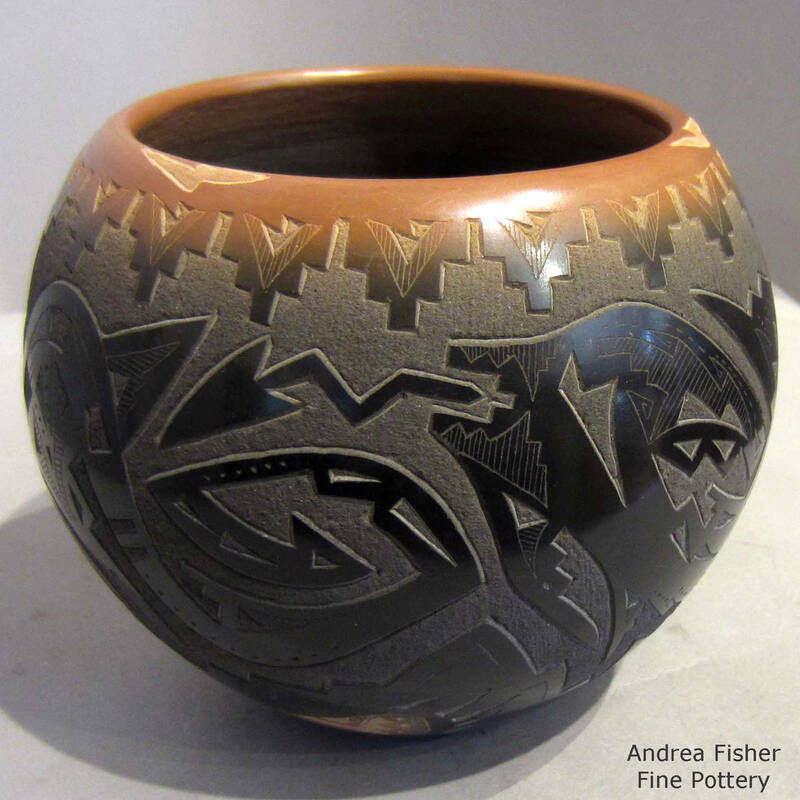 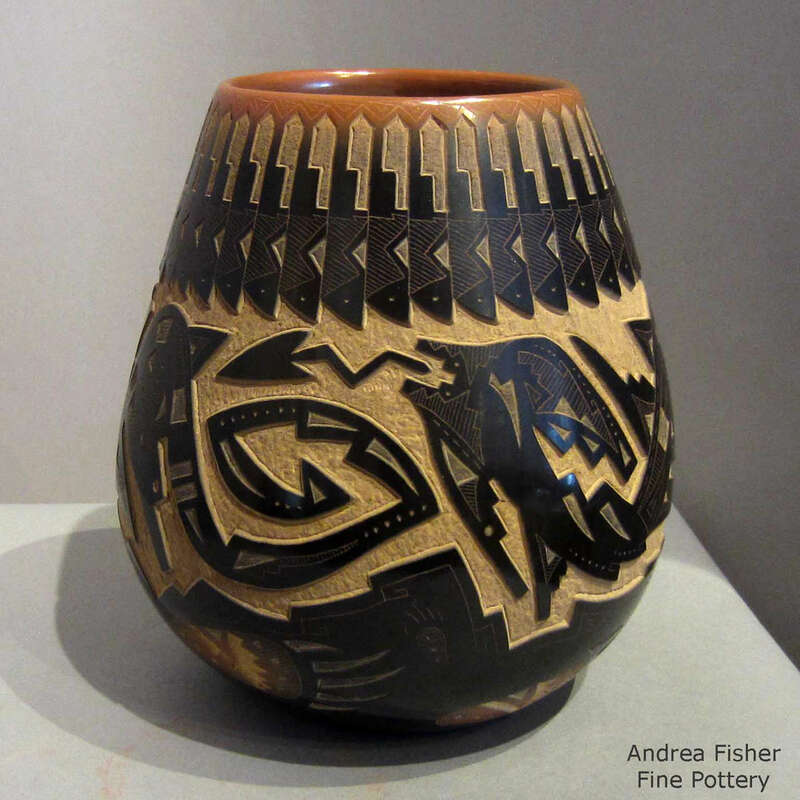 He says, "I enjoy making pottery because I like to come up with my own traditional designs. 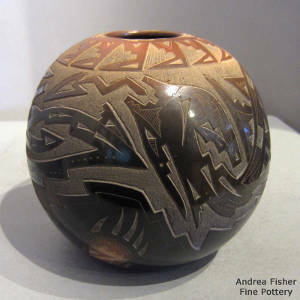 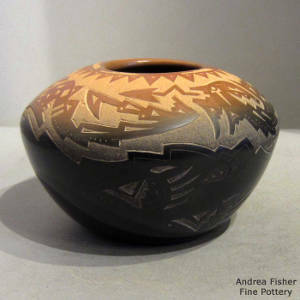 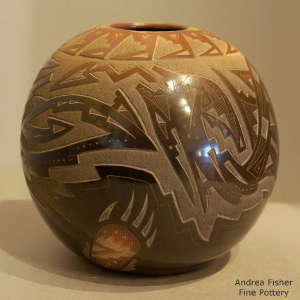 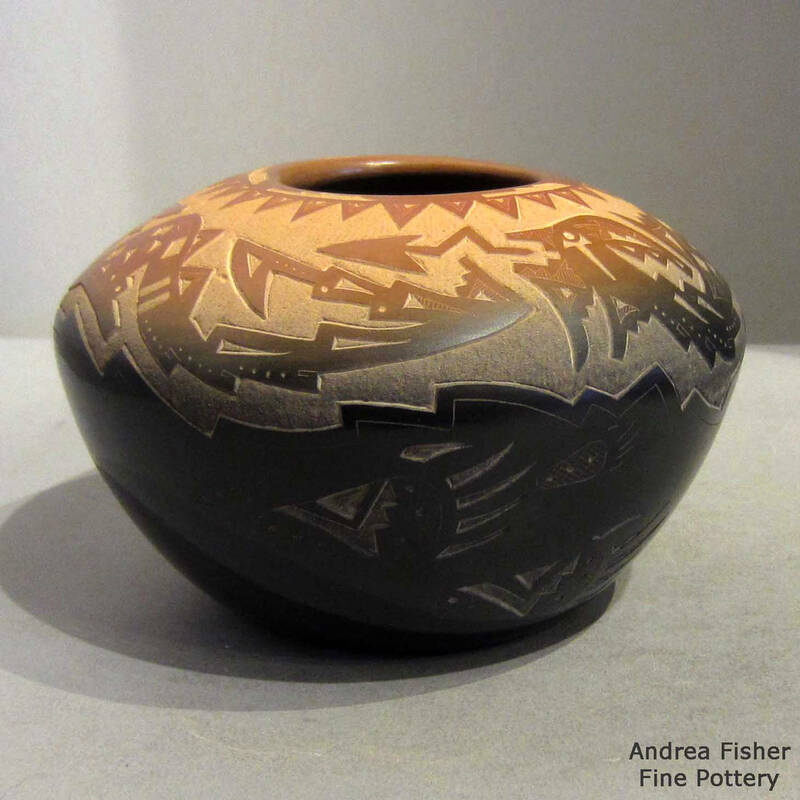 I also find that etching my pots is a challenging and rewarding experience. 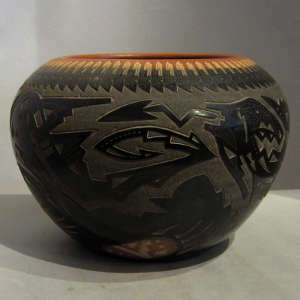 My pottery is unique in the way that no other pot is the same. It is like the pottery is alive: It wants to be a certain way and no matter what I do it won’t change the outcome of what the pot wants to look like." 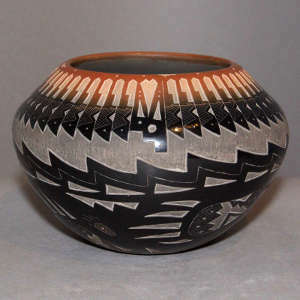 Sammy has won awards at the New Mexico State Fair, Eight Northern Pueblos Indian Arts & Crafts Show, and at the Arizona State Museum in Tucson. He signs his work "Sammy Naranjo, Santa Clara Pueblo."